The Hartnoll brothers could have ended the Orbital saga on a totally different note, and would have gotten away with it. They could have made a re-hash of their earlier work, with loads of dance-floor anthems like "Shime" and all the old fans would have been pleased and would have said "Yeah, this is what Orbital should sound like. It reminds me of that night in Brighton in 1994… But I understand why they call it quits now – they just don’t have it in them anymore to make new music". But Orbital don’t choose this easy path to some extra money to put in the bank. No. Instead they take us on a cinematic journey through the urban cityscape on a cold, cold night – and both them and us gain so much more from it. Starting with hauntingly beautiful (just listen to those strings!) "Transient" – which easily would have made the cut for a new "Bladerunner" – the Hartnolls have created an album of more subtle beats and harmonies. Someone has said "Kraftwerk meet Philip Glass" and that is as good a description as any. 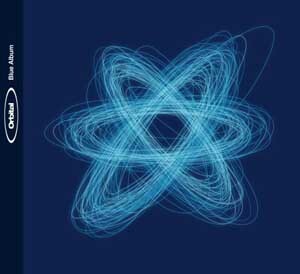 Within the nine songs on "Blue Album" Orbital creates a richly textured beat world that may sound simple, almost tedious in one listen, at first, but slowly opens up to reveal intricate patterns. "Blue Album" isn’t made for the dancefloor. More – as hinted – for the big screen. There are no sure singles on it, but it’s a great listen if you drive through your city and watch the neon glitter on rain-wet tarmac. And as for the Hartnoll brothers – they surely have a bright future ahead of them making scores for movies in the years to come.